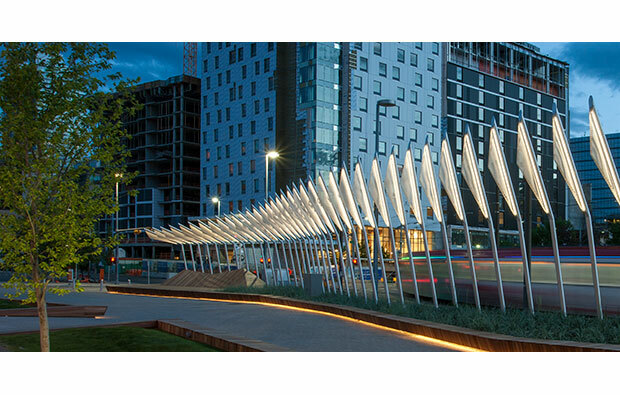 This project has a big impact with only a few elements. The lighting portion was the most effective design move as it created a new sign/wayfinding attraction in this small public plaza. Small intimate space to gather people, beautiful detailed and soft with use of wood and lighting. A great and simple landscape and urban design approach towards a modestly scaled and detailed social urban square providing a sensitive nocturnal object that defines the identity to the edge of East Village. The social benches are impeccably detailed and plays with nonstandard dimensions allowing for multiple programs and sprawled out moments of repose to occur upon. 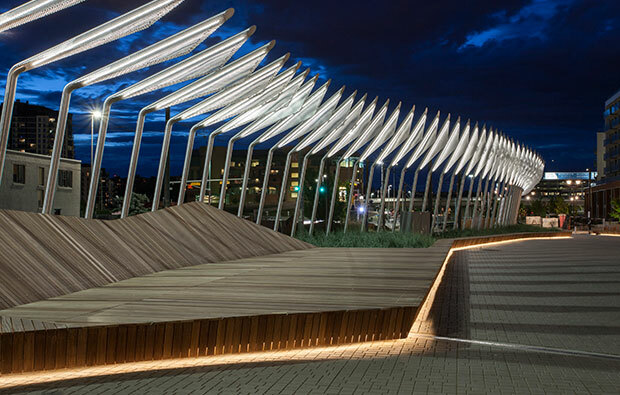 The exterior lighting strategy and fixture detailing is integral and hidden revealing its presence only at night, reinforcing the simple forms and border of the urban space and bench as object. 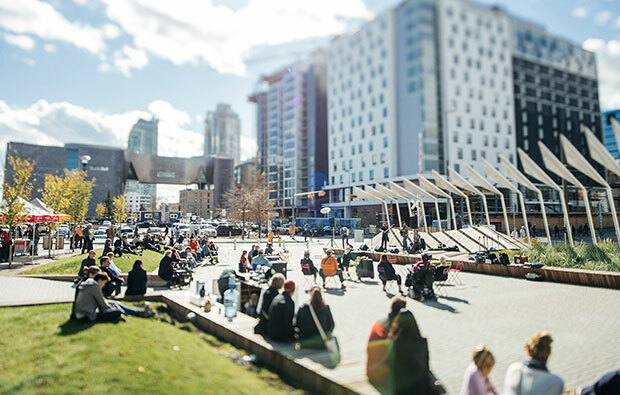 An interstitial urban space within the city that goes beyond the ordinary placemaking vocabulary to embrace infrastructure. 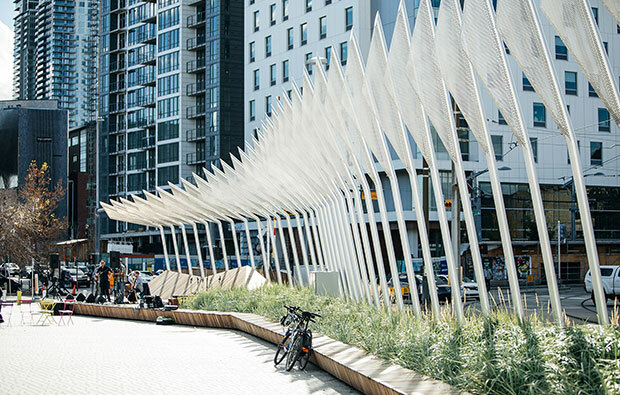 Aluminum blades shift colour as the train passes directly through the space, while, on the other side of the tracks, wooden benches extend to serve as planters. This is a fresh and original approach that explores new ways of celebrating public transit in the city.